> Iain Dale on Hague's call for a ceasefire: "The trouble is that any Hamas backed ceasefire isn't worth the paper it is written on. If we have learned nothing from recent history, surely we have learned that." Time for Barack Obama to step up and show that he "can" - I think he is capable, and certainly is far more likely to come up with the diplomatic goods than Bush. Hamas and Israel don't give a damn about what William Hague thinks. Britain and America's involvement has failed to bring about peace so far because we're not trusted by all sides. Let's just leave them to work it out themselves. Where is Tony Blair in all this? He issued a statement from somewhere? How much is the Messiah being paid to resolve this tragedy of our time. Time to up Mandy to Foreign Sec. The great appeaser needs his brain. Hague is wrong and should think before he opens his mouth. Having been there at the very beginning of Israel I am no pro-Zionist. But if you live in a country that has received over 110 rockets over a weekend what on earth are they supposed to do? Iran is behind both Hizbollah and Hamas and all are dedicated to the destruction of Israel. Of course this onslaught has to be stopped - it's naked aggression but now we have the aggressors being protected as if they were the victims, by Hague here and the EU. If Obama or the EU did a damn thing to bring peace to the area of course we should support that but all they do is fall prostrate before Hamas propaganda. Hamas knows perfectly weell that they would attract retribution and the resulting victims are the propaganda weapons in their war. Just ask - HOW are they getting these rockets - sophisticated ones now ? That needs an answer. Hamas are terrorists and we should regard them as such. To that end military action is insufficient to resolve this problem. Moreover, it gives the Arabs an excuse to do nothing. Gaza needs to be governed by people who will not turn a blind eye to terrorism and who will serve the interests of ordinary Gazans. If moderate Arab nations want peace this is where they come in. Things cannot carry on as they have been. Time for Barack Obama to step up and show that he "can"
HAGUE IS UTTERLY WRONG. VERY DEPRESSING. There are a lot of very active Tories who will be disgusted by this. I am glad that Hague is not pandering to the party's Jewish donors. Very disappointed in William Hague! What's he playing at? Oops, I posted my comment on the other Hammas thread. However, I'd like to add that I'm pleased William Hague has had the sense not to place a call for "Europe" to involve itself, as Milipede did, which clearly proves Hague sees British foreign policy as belonging to us and not to any other. Milipede's statement has obviously ( once again ), underlined his thick headed lying scumbaggedness in relation to Labour's Red Lies on the Lisbon Treaty in regard to UK foreign policy remaining "sovereign". Please note these breaches Mr Hague because I and other will indeed be keeping count of them. If this is what Hague does when he's fulfilling his role as part time Shadow foreign it is better that he retires from politics altogether. "I am glad that Hague is not pandering to the party's Jewish donors." This statement reveals more about the maker than about the situation. Implicit within it is a suggestion that Jewish supporters of the party are the reason why it is supportive of Israel. This is the ridiculous "Israel lobby" theory. The reality is that the Conservatives (should) support Israel because Israel is engaged in a battle against MISOGYNIST, HOMOPHOBIC, ANTI-SEMITIC, ANTI-WESTERN, GENOCIDAL, FANTATICAL THUGS. Goodness knows why Hague doesn't see that? so mr hague in your esteemed wisdom (which for the past couple of years seems to have deserted you )israel should just stand aside and let a genocidal group , who has the same worldview as al quaeda rocket the whole of southern israel and train up thousands of suicide bombers. you truly are weak mr hague , after your cackhanded israel's being disproportionate argument when israel was hezbollah , your non entity of a statement when georgia was getting pummelled by russia , you have decided to go one further, by telling israel to stop doing the one thing that any sovereign nation has the right to do , namely protect their citizens. Remember 5/6s of those killed were hamas terrorists the rest whilst civilians were used by hamas as cannon fodder , israel is not blame for their deaths hamas is . last week hamas showed they could not care about palestinian lives when in trying to launch a rocket into southern israel it landed inside gaza and killed 2 civilians , where was your statement then mr hague condemning hamas , where is your statement now mr hague condemning hamas barrage on southern israel where people for the past year particularly in the town of sderot have had their education disrupted, their schoolife ruined, family life destroyed , living in perpetual fear and the health consequences along with this - whilst you sit nice and comfy in england please tell what would you do if the whole of southern england was attacked by a terrorist organisation -would you sit back and do nothing , would you listen to leaders telling you to stop defending your citizens - innocent civilians , whereas israel has tried to avoid civilian deaths hamas has a clear thirst for this . Even in these difficult times israel has let 120 aid trucks into gaza a brave step considering 2 months ago as some of the food parcels were found to contain the explosive ammonium nitrate. remember only yesterday hamas once again showed their complete disregard for human life ,when egypt offfered to open up the rafah border crossing so those in medical need to go into egypt hamas wouldn't let them , palestinian civilians are just pawns in their game for the eventual destruciton of israel , and turning the palestinian terrortories into an islamic extremiest stronghold. it is a sad day when the shadow conservative foreign secretary defends the interests of islamic extremists over the sole democracy in the region. Thatcher would have never had stood for this. It seems you just want to sound more like that weasel david milliband and even worse go as far to sound like the anti israel rabble of the lib dem party. hang on hague i thought the official position of the conservative party is we dont talk to genocidal maniac groups like hamas - so who prey tell is israel meant to talk to ( thin air)- well my suggestion is about as well informed as that part of your statement . why now are you trying to appease the anti israle gallery. would you advise someone who is being threatened to be killed - to talk to the killer- i sincerely believe not -so why then should israel talk to hamas - their is nothing to talk about they dont accept the two state solution and nor at the moment does the west biggest hope the supposedly moderate hamas president mahmoud abbas who has compared what is happening in gaza to the holocaust -a disgusting statement. LIAM FOX FOR FOREIGN SECRETARY - a staunch defender of israel. A very good even handed statement. It is clear to me that an incoming Conservative Government should exercise what influence Britain has in the short term to prevent missiles being fired from Gaza but then to persuade/force the Israelis to restart negociations. To do this we will need to put pressure on Israel to make difficult decisions - to give back land. It looks like Mr Hague understands this and will avoid the propoganda pedled by CFI and Mr Halfon, who I think will clutch at any excuse to hold onto land. If CFI is to be a friend of Israel it must tell them the truth - if you don't hand back the West Bank and the Golan Heights there will never be peace. If Israel refuses to give ground and continues building setlements they will end up with Hamas throughout the occupied teretories. Do you think fascist massacres are right if they keep a lid on trouble caused by injustice and humiliation? Peace and justice now! Go Hague! Far from being disgusted by Hague's position, I'm far more disgusted by the received wisdom on this site, which is that Israel killing 296 Palestinians in its new assault is somehow an a proportionate response to the death of one man. In the 1980's, Northern Ireland faced attacks based in the South. However, we did not attack Ireland. Such a response would have been wholly disproportionate and have resulted in world wide condemnation. I have been watching with amazement over time Mr Hague’s comments go from the naive to the extraordinary. For a man of his standing, he seems very poorly informed to say the least. Is he not aware that Israel is pouring in lorry loads of supplies and medicines to Gazza, including today when Hamas keeps firing back! Besides I must have missed him continuously calling for restraint from Hamas, when they have been daily raining down rockets at random on civilian targets for years now. Aside for when he is at CFI dinner’s happily taking money of prominent Jewish Donors. I know people in my back yard have stopped voting Conservative and in key marginal’s over DC and Hague’s one sidedness, I am just waiting for more donors to stop giving. "The only long-term solution is a negotiated two-state agreement that achieves a viable and secure Palestinian state living alongside a secure Israel with her right to live in peace and security recognised by all her neighbours." It ain't necessarily so. I know this is the mantra of all establishment politicians, but what evidence is there that such a desire is anything more than a pipe dream. The 'Palestinians' seem to have NO desire to live alongside 'a secure Israel with her right to leave in peace and security recognised.' There already is a Arab-Palestinian state and it is called Jordan. Israel is a very, very tiny state with a major demographic problem on its hands. Perhaps the mantra no longer works. I can't say I am very impressed with Hague as Shadow Foreign Secretary. On the EU, he has also failed to deliver on the promise to withdraw from the EPP. Mr Hague's has consistently called for rocket attacks against Israel to cease (and again in his statement above). These rocket attacks are however seldom reported, because in global terms they are small beer and much like the war in Afganistan they are not new. Frankly with regards to CFI - if donors think that by giving money to teh Conservatives they will influence British Foreign Policy then I am glad they are disapointed. We should as a party be very careful of lobby groups like the Conservative Friends of Israel, Turkey, Cyprus, Bangladesh etc. They all ultimatly wish to influence rather than just inform policy. British Foreign Policy should be dictated by British interests not party funding concerns. Hague here is showing he is a statesman. Hague is an arrant fool for coming out with this bilge. Hamas must be crushed, not negotiated with, but crushed. If Hague is too lily-livered for that, let him stand down from the shadow cabinet and concentrate fully on his outside interests. Perhaps he would think differently if it were down upon Yorkshire that the Hamas rockets were raining. George israel gave back gaza and the northern west bank 3 years ago , they just evicted outposts in hebron . all israel got in return was a hamas government in charge who calls for the destruction of israel as well as to throw all jews into the sea - a sentiment remarkably similar to hitler's views on the jews and a barrage of rockets into southern years for 3 years. hardly an endearing legacy for israel giving up land is it . Comparisons with N Ireland can only take us so far Simon. The IRA had limited aims. Hamas wants the destruction of Israel. They are financed by a foreign power - Iran - that is developing nuclear weapons and it's President has talked of wiping Israel off the face of the map. george -small beer - tell that to the people of sderot please , tell that to my cousins in beersheva living in a bomb shelter. why should israel pull out of the golan heights syria through it's proxies hamas and hezbollah still attacks israel. they also fail to recognise israel.that wouldn't be land for peace , that would be land for war. if you talking about lobbies who are too powerful how about the conservative muslim forum- with it's message of negotiating with the mad iranian leader and hamas. ConservativeHome website = me by the way! Small beer in global terms - there are many more killed in Zimbabwe, Afganistan, Iraq, but obviously for those concerned it is awfull. Israel should pull out of the Golan heights in return for a peace settlement including recognition of Israel by Syria. Much as Israel agreed with Egypt. However, my belief is that Israel will not do this as it selfishly wishes to keep the land. Israel has missed many oprtunities for peace before and will miss more unless forced to negociate. Land for security. Israel could negociate with Abbas now if only it could contemplate leaving east Jerusalem - which it can not. Outside pressure is required and a Conservative Government should assist in this. There can be no peace until Hamas accepts that Israel has the right to exsist. "Hague calls for Israel to stop its action against Hamas" Oh please shut up William. I think the best policy for us to adopt is that of supporting Israel which is clearly being wronged. I'm not sure I fully understand the significance of the differences between Hamas and the IRA which you outline Tim. The IRA also received substantial outside help and funding, from forces which hated the United Kingdom. Hamas may be more terrifying in the scope of it's ambitions, but I still fail to see why it merits a response of this scope. Surely it actually plays into the hands of Hamas -dead Palestinian children are invaluable recruitment material. israel does recognise syria , syria doesn't . as for east jerusalem the reason israel is squeemish on this issue is there is and always has been a substantial jewish population of about 45% in east jerusalem it is also where the western wall is , when jerusalem was divided - the western wall was used as a dumping ground by the jordanians and food and other supplies were cut off to the jewish population in east jerusalem - this could happen again if hamas gains power . personally i think jersualem shouldn't be divided keep it as it with the arabs being control of the arab parts and the jewish in the jewish parts , it can stay undivided which helps it economically and be the capital of both states. To do this we will need to put pressure on Israel to make difficult decisions - to give back land. Will Poland return the land seized from Germany in 1945 ? Will the 2 million Germans expelled from Czechoslovakia and Hungary and Poland be returned to their homes ? Will Russia and Ukraine return the swathes of Poland seized under the Molotov-Ribentrop Pact ? Israel most certainly should not pull out of the Golan Heights, which is vital strategic military importance geographically as well as the source of a sizable proportion of Israel's water supply. Israel doesn't need peace with that tin-pot dictatorship THAT badly! Some demands are just totally unreasonable. Hamas and its co travellers present the same threat that National Socialism did in the 1930's. There is not question that Israel has made large concessions in withdrawing from Gaza and had this generosity seen as weakness. There may be questions about tactics and specific actions, but they surely need to sort Hamas out and have the right to do it given the thuggish provocation Hamas have produced. The sad truth is the comments from Brown, Miliband and now Hague are really about internal British politics and the appeasement of those groups who think Hamas should be allowed to continue to murder at will. I'm with Obama on this. I fundamentally disagree with Israel on how they treat the Palestinians etc and how they have treated them, but if Scotland fired rockets constantly into England we couldn't just sit there. I want a ceasefire, but Hamas need to stop first. Israel is being disproportionate with settlements, the massive wall, general treatment of Palestinians etc, but not on this. Pretty stupid end comment to your post at 20.17 Man In A Shed. Malcolm, I believe Man in a Shed may have a point! How else do you explain William Hague's stance? I was wondering what the 'proportionate' response what to imaginary weapons of mass destruction was? Toppling a regime and taking out tens of thousands of civilians as 'collateral damage'.... but they weren't targetted, so that's ok. Guess it's proportionality rules don't apply to Britain and the US, Mr Hague. He doesn't have a point at all. I see absolutely nothing wrong with Hague calling for a ceasefire from both sides. Read his words again Sally, what could you possibly disagree with? Having said that it's all pointless.Israel will go its own sweet way listening to nobody except possibly the USA and neither will Hamas. Malcolm, it is not so much what William has said as what he has omitted to say! He has condemned the attacks on Gaza but has completely failed to mention the continual day-after-day rocket attacks launched on Sderot and other Israeli towns. He fails to realise that Israel has responded after being goaded beyond endurance! I'm disgusted. Not by Hague's position but by comments here. How is it wrong for Hague to call for a ceasefire and warn against civilian casualties? Does no one know why he isn't talking about the Hamas rocket attacks as much? Because Hamas can't be reasoned with as easily as Israel can. If Israel calls a ceasefire and Hamas says "no" then it's Hamas' fault. If Hamas is called upon to take the first step they'll blame it all on Israel and get their cheerleaders to ask why Israel isn't being pressured to make the first move. It's simple. Israel is the big, organised state and Hamas is a thuggish political party. So it's reasonable to expect the former to try to stop the violence rather than be as bad as the latter. Oh, and whilst Hamas may be due some grief CIVILIANS DO NOT. Shame on anyone who says or implies that these attacks are ok because Hamas is the target. It just sends more people over to their side. Sally, what, so civilians are expendable if they're Palestinian? How many is Israel allowed to kill before they have to stop? raj the majority 280 out of 320 have been terrorists not civilians rendering your argument useless - this clearly shows israel is killing terrorists and generally although not always thanks to hamas hiding in civilian areas avoiding civilian deaths. george hmm lets see who turned down the latest peace offering which even the saudi arabians said they should have accepted it was 2001 at taba oh and it was arafat on the palestinian side who rejected it . William has been a fantastic Shadow Foreign Secretary ............ until now. Let us hope that this unbalanced statement was the work of his e-mail auto-responder. It wasn't unbalanced at all.I think as I mentioned on another thread the majority of posters to these threads either support Israel absolutely blindly or they hate it with a passion and want to see it destroyed. Hague and the others calling for a ceasefire are right not just to save the lives of innocent Palestinians and Israelis but also to prevent Israel making the same mistake as it did in Lebanon which was a disaster. As I also mentioned before it is also pointless as neither Israel or Hamas will take a blind bit of notice of anything anyone in Britain has got to say anyway. Have to be honest, not bothered to read through the whole thread, just saw the initial responses to the very badly written editorial that was down right misleading in light of the quote from William Hague they printed. Ohh get him, he dared to include a slight criticism of Israel in amongst the first and most direct critical comment of Hamas!
" I join the Security Council’s call for an immediate ceasefire and call on Arab countries to use their influence to urge Hamas to end rocket attacks on Israel. I also call on Israel to work with the international community so that the humanitarian relief so desperately needed in Gaza can be provided. The British Government must work with the United States and other members of the Middle East Quartet to secure an early return to negotiations in 2009. The only long-term solution is a negotiated two-state agreement that achieves a viable and secure Palestinian state living alongside a secure Israel with her right to live in peace and security recognised by all her neighbours. The world looks to the new President of the United States to place these negotiations at the top of his foreign policy agenda and to pursue them with vigour and determination from the very outset.”"
What the hell is there to be critical of in this statement? Or did I forget the much needed restraint asked of Israel during the first Iraq War when those scud missiles were aimed and fired at that country? That was about the last time they won the hearts and minds of the general public world wide. Hamas wants to annoy and provoke the Israelis, but its the headlines and the casualty figures in the Uk broadsheets which help rather than hinder their cause against their enemy. Why do the Israelis and sites like this end up helping rather than hindering that message? "Sally, what, so civilians are expendable if they're Palestinian? How many is Israel allowed to kill before they have to stop?" NO RAJ - HAMAS MIX SOLDIERS IN AMONGST THE CIVILIAN POPULATION AND SITE THEIR ARMS STORES IN THE BASEMENT OF HOSPITALS!!! THEY USE WOMEN AND CHILDREN AS HUMAN SHIELDS. Apologies for the caps but I am concerned if I type in ordinary letters you MAY NOT READ IT AND TAKE IN THE INFORMATION!!! "It wasn't unbalanced at all.I think as I mentioned on another thread the majority of posters to these threads either support Israel absolutely blindly or they hate it with a passion and want to see it destroyed." Malcolm, I for one support Israel 100% but I do not do so "blindly". On the contrary I make every effort to seek out the facts as opposed to swallowing whatever the BBC chooses to feed me. Let us turn the clock back to the Second World War. The British People supported their country loyally despite the fact that innocent Germans were killed in bombing raids on Dresden, for example. Nevertheless Britain was fighting for its life - rather as the Israelis are doing now. 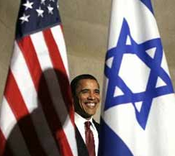 Yes I back them but not out of some stupid blind affiliation but out of love for the Jewish People and their Homeland. No, Malcolm et al, the statement suggested that, Hamas having rocketed Israel for years, Israel should stop defending itself. Hamas is an organisation that exists to kill people simply for being Jewish. If you don't understand that, draw an equal-sided cross on a piece of paper and a hook on each end - that describes their agenda. Israel has suffered thousands of rocket attacks in southern Israel from Gaza, which started a week after leaving Gaza for good. The majority of the Palestinians killed were Hama's fighters, Israel should be allowed to deal with Hama's and they should be encouraged to do so and encouraged to make protecting the non-combatents as much as possible. Hama's will not stop firing missiles into Israel, or stop their splinter groups from doing so. The people of the Gaza strip voted for a genocidal war when they elected Hamas. It would be a shame to deprive them of it. Justice requires that they be bombed and starved into unconditional sureender, like the Axis in 1945. A "two-state solution" is not viable. Gaza should become part of Egypt, and the West Bank divided between Jordan and Israel. The whole point of the Belfour was that both Jewish and Arab populations should share Israel in integrated peace. Sadly both sides have found it impossible to live peaceable together and so a two state solution has become the most likely one for some sort of long term success. Gaza has been highjacked by militants who want to destroy Israel, and these terrorists have engaged in a long-term campaign of harassment against the people of Israel. Whenever Israel acts against these pockets of terrorism, they are accused of being the aggressor, which isn’t the case. Of course there will be civilian victims when Ham-arse insist in sighting their rocket launchers in schoolyards or near to residential areas. This digesting tactic shows how little these militants care about their own people. Of course the biggest stumbling block on the road to peace is not Israel but Ham-arse’s insistence on the destruction of Israel. I would be inclined to turn a blind eye and let Israel get the job done, and I disperse when somebody of William’s stature opens his mouth and lets slip his lack of comprehension of the real victims of Ham-arse’s campaign of terror. The reality is that Hamas ( lets spell it right this time) is killing people on both sides of the divide. We should support Israel and put pressure on the Arab world to force some sense on the Hamas leadership. If Hamas continues on its present course Israel will have no choice but to wipe to Gaza strip off the face of the earth, we should support them in doing just that and not be fooled by the lies coming out of the Arab world, should they not accept the legitimacy of the Nation of Israel.There can be no compromise with those who wish to destroy the people of Israel in their home country.We have been here before as in 1939 I know which side has the moral high ground. Thats what happens when you allow MS word to auto-correct your spelling. I also do not back Israel blindly, I look at the mentality of Hamas and other Islamic groups. It boils down quite simply to "death to the infidels", that means you. So yes, Hague is wrong because he equates Israel with Hamas, chalk and cheese. What does puzzle me, is that the "moderate" muslims get killed by their own people but do not turn on the killers, strange form of moderation! Tell me Superblue which bit of Hague's statement suggested Israel should stop defending itself? Complete garbage and you know it. WHEN IS ISRAEL GOING TO END ITS OCCUPATION AND RETURN TO THE PALESTINIANS THEIR LANDS AND FREEDOM? They are not responsible for the Holocaust. Israel :"Israeli citizens have been under the threat of daily attack from Gaza for years." Ans. Palestinians have been under harsh Israeli occupation for 60 years. Israel: "Only this week hundreds of missiles and mortars shells were fired at Israeli civilian communities." Ans. Only one in 500 Qassam rockets causes a fatality. How many thousands of Israeli bombs, missiles, rockets, grenades and tank-shells have been blasted into the crowded city and towns of the Gaza Strip by Israel’s high-tech weaponry? Israel: "Until now we have shown restraint. But today there is no other option than a military operation." Ans. The only legitimate option for Israel is to end the occupation and withdraw behind its 1967 border, as required under international law and UN resolutiosn. Israel has been killing Palestinians at the rate of 8 to 1 since 2000, and children at the rate of nearly 12 to 1 (B’Tselem figures). This is somebody’s idea of restraint? Israel: "We need to protect our citizens from attack through a military response against the terror infrastructure in Gaza." Ans. Self-defence is not a right exclusive to Israel. Palestinians have an equal right to protect their citizens from the terror tactics of Israel. Israel: "Israel left Gaza in order to create an opportunity for peace." Ans. Israel never left Gaza. It still occupies Gaza's airspace and coastal waters and controls all entrances and exits. Israel: "In return, the Hamas terror organization took control of Gaza and is using its citizens as cover while it deliberately targets Israeli communities and denies any chance for peace." Ans. Hamas was voted into power as the legitimate government of Palestine. Israel chose not to accept the people's choice, which amounted to a denial of their human rights, and immediately set about obliterating it. Apparently it seems it's OK to lob 500 Qassam's over the border because only one in 500 causes a fatality. What sort of demented thought process is that ? Can he not see that if they didn't do so in their ongoing pursuit of the destruction of the State of Israel, that not only wouldn't Israel(be able to)retaliate, they would also be marginalised politically were they to aggress against the Palestinian people. Regarding his last point about Hamas' political legitimacy. If the people who voted for them and are prepared to live in a society that allows their politicians armed militias units to (try and) conceal themselves in sensitive locations, they must, sadly, reap the whirlwind. The answer ought to be fairly obvious to anyone voting in Gaza at the next election. If not, Palestianians are voting for 'no-change' and shouldn't be too surprised when they are next visited by the Israeli army. Good evening. It is 1940 and here is the news. The Luftwaffe's bombardment of Britain continues but the American Secretary of State has warned the British not to retaliate. And Good Morning. It is now 1978 and here is the news. It is now the fiftieth day since the IRA began to fire Katyusha rockets at Liverpool and Carlisle. A school in Croxteth was the latest casualty and ten children and a teacher are dead. Prime Minister James Callaghan has asked for calm and understanding for the Irish People's grievances. Oh my God! Sally and Superblue read the words of what Hague said!! Oh my God! Read the words from Hague's statement again!! I strongly suggest Sally and Superblue you read Hague's statement again. Without wishing to be rude I think you're talking complete rubbish Sally and Superblue. I suggest you read Hague's statement again. All right, Malcolm! As it's New Year's Eve and I want to make you happy I will do so - sadly I don't think it will make my change my Opinion! Happy New Year anyway!! How can anyone NOT agree with what William Hague said above??? Are his words not sensible? It is not sensible because Israel is trying to save itself from being driven into the sea. After all, there are so many Arab countries that Arab Palestinians could live in if the worst happened to them but only one non-Arab country in the region; ten miles wide in places and where it was two or three thousand years ago (think of the Christmas narrative details) and just trying to survive. "WHEN IS ISRAEL GOING TO END ITS OCCUPATION AND RETURN TO THE PALESTINIANS THEIR LANDS AND FREEDOM?" Prehaps you should spend a little time looking at this issue's history. As far I understand it (and I may be wrong) there was no talk of Palestine or Palestinian's prio to WW1. Are you also forgetting that there were a large number of "Palestinian" Jews in the Holy Lands during the whole of its history.I am sorry to say that We (Ie G.B.) are the main reason there is now an Israel. The Belfour, which we should restore, insists on both Jew and Arab sharing a single state. There should not be any Us & Them in Israel. Israel is the well meaning response of Christianity to the Final Solution. I will grant you that it is a Fuc*ing Mess, but its is almost all the result of outsiders interfering. If Arabs excepted Jews there would be no issue. Those people who live in the Holy Lands know who they are, and why they must insist on staying put. If the world would allow it, to just be, Israel could be the meeting place for all of the Faiths. Now the Secularists have no say in this issue either, and it makes them want to spit blood. Jews are staying put and Ham-arse is trying to separate out the non-Jews. Hamas is the enemy and is a terrorist group. The Gaza Strip is like a cancer and its poisoning the whole world. The can be no hot or cold with Israel either we favor it 100% or we are against it. It would be just as well if the world was to turn a blind eye to the surgery. I am sorry, if that brings a fatwa on my head then so be it. It is also abundantly clear to me that the Conservative party is the friend of the Jews and quite right to (as Boris might inject). This commitment is exactly why we fight against the Nazi empires of this world. Britain is a true home of the 13th Tribe. Yes we know how easy it would be to sink into banality and make some non-pc quip. Can you imagine Britian falling to the depth of say Nazi Germany, and why not ? isn’t that what makes Britian Great ? Being a great Nation means we can maintain great aspirations and we can make commitments to support were possible the Jew and the Arab populations of the Holy Land. Only by restoring the spirit of Belfour can the middle east be healed. Yes a nation has come home, and sorry that is nonnegotiable. Those outside of the Holy land can only look on and hope that somebody can explain the simple truth to the Nations. Those who imagine in their ignorance that I am not a Bishop will understand this is no accident or chance uttering. The people in Gaza need to be liberated from the nasty spirited men of Ham arse. It is easy to see these people as the servants of a lesser God, but the fact is God Motivates at least some of them. In past Times you would simply have accepted that we have no control over such events. Now people want to make a difference and they get mislead by misleading leaders, there are a lot of those about. I imagine a lot of Folk think Jews are awful bad and wicked walking in a taking the land. Come on think it through a nation belongs to the people who live inside it. So if there are a majority of Jewish people it is a Jewish state. Those who live it Gaza have been herded together by goat herds, they have been lied to. There can only be one state in Israel, so they take themselves off to a tiny stip of land and throw stones. Well if it was just a few stones that would be one thing but its not. They talk about wiping the Jews from the land. If they were a nation on the edge of any other nation, and they were acting that way, they would expect shortly to be eradicated. I would prefer it not to come to that, but the Gaza strip has to go. How can it continue with its current wicked leadeship. The Belfour, which we should restore, insists on both Jew and Arab sharing a single state. There should not be any Us & Them in Israel. Israel is the well meaning response of Christianity to the Final Solution. I will grant you that it is a Fuc*ing Mess, but its is almost all the result of outsiders interfering. If Arabs excepted Jews there would be no issue. Those people who live in the Holy Lands know who they are, and why they must insist on staying put. If the world would allow it, to just be, Israel could be the meeting place for all of the Faiths. Now the Secularists have no say in this issue either, and it makes them want to spit blood. Jews are staying put and Ham-arse is trying to separate out the non-Jews. Hamas is the enemy and is a terrorist group. The Gaza Strip is like a cancer and its poisoning the whole world. The can be no hot or cold with Israel either we favor it 100% or we are against it. It would be just as well if the world was to turn a blind eye to the surgery. I am sorry, if that brings a fatwa on my head then so be it. It is also abundantly clear to me that the Conservative party is the friend of the Jews and quite right to (as Boris might inject). This commitment is exactly why we fight against the Nazi empires of this world. Britain is a true home of the 13th Tribe. Yes we know how easy it would be to sink into banality and make some non-pc quip. Can you imagine Britian falling to the depth of say Nazi Germany, and why not ? isn’t that what makes Britian Great ? Being a great Nation means we can maintain great aspirations and we can make commitments to support were possible the Jew and the Arab populations of the Holy Land. Only by restoring the spirit of Belfour can the middle east be healed. Yes a nation has come home, and sorry that is nonnegotiable. Those outside of the Holy land can only look on and hope that somebody can explain the simple truth to the Nations. Those who imagine in their ignorance that I am not a Bishop will understand this is no accident or chance uttering. The people in Gaza need to be liberated from the nasty spirited men of Ham arse. It is easy to see these people as the servants of a lesser God, but the fact is God Motivates at least some of these people. In past Times you would simply have accepted that we have no control over such events. Now people want to make a difference and they get mislead by misleading leaders, there are a lot of those about. I imagine a lot of Folk think Jews are awful bad and wicked walking in a taking the land. Come on think it through a nation belongs to the people who live inside it. So if there are a majority of Jewish people it is a Jewish state. Those who live it Gaza have been herded together by goat herds, they have been lied to. There can only be one state in Israel, so they take themselves off to a tiny stip of land and throw stones. Well if it was just a few stones that would be one thing but its not. They talk about wiping the Jews from the land. If they were a nation on the edge of any other nation, and they were acting that way, they would expect shortly to be eradicated. I would prefer it not to come to that, but the Gaza strip has to go. How can it continue with its current wicked leadeship. HAMAS MIX SOLDIERS IN AMONGST THE CIVILIAN POPULATION AND SITE THEIR ARMS STORES IN THE BASEMENT OF HOSPITALS!!! THEY USE WOMEN AND CHILDREN AS HUMAN SHIELDS. Which under the Geneva Conventions renders those "civilian" areas military targets.....further, every suicide bomber is a "civilian" as is every terrorist simply because they have no uniform nor rules of engagement. "further, every suicide bomber is a "civilian" as is every terrorist simply because they have no uniform nor rules of engagement"
Well that is interesting because did you know that the Palestinians and other arabs regard every Israeli citizen as a soldier and therefore a "justifiable" target? Would Israel clear out of Gazan airspace permanently? Would the Israeli navy cease its piracy and stay out of Palestinian territorial waters? Would foreigners will be able to visit Gaza direct? There are no rockets coming out of the West Bank. Yet the illegal Israeli occupation there continues and so does the ethnic cleansing, the land theft, the illegal settlements, the colonization, the demolition of Palestinian homes, the throttling of the economy, the abduction and 'administrative detention' of civilians and the massive interference with freedom of movement. Nothing has changed for West Bank Palestinians who DO NOT fire rockets. There is no sign of an end to their misery. The bloody assault on Gaza therefore has much more to do with Israel's ambition to expand racial dominance in the Holy Land than crude and erratic rocket-fire. Hamas and the Palestinians holed up in Gaza are simply in the way of the Grand Plan and have to be removed or totally subdued. The international community needs to keep their eye on the ball - the big issue – which is the ending of the occupation and Israel's withdrawal to recognized pre-67 borders as required by international law. In short, they need to stop wringing their hands and start delivering justice, which is long overdue. Palestinians in Gaza will hardly wish to give up armed resistance until they receive copper-bottomed guarantees of a normal life unmolested by Israel... and see concrete evidence of it.